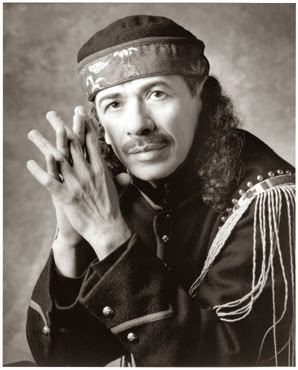 One of the ultimate Quiet Storm songs ever is of Carlos Santana performing the classic song Black Magic Woman. The song was originally written by Peter Green and it was first used by Fleetwood Mac as single in 1968. However, in 1970, Carlos Santana was the first to take the song to "hit" status. There are numerous live filmed recordings of Carlos Santana and his fabulous band performing Black Magic Woman floating around. The version just below was filmed in 1971 for German TV's Beat-Club, which happened to be the first German TV program that focused upon pop and rock music from the U.S. and Britain. Please click the play button of the video below and choose the high-resolution & full screen options. When this music video ends, it will automatically be followed by an extended playlist of excellent music videos. Press forward to skip any video or click the reverse button to replay or return to previous songs. Here is the most recent "Official Live Video" of Black Magic Woman.